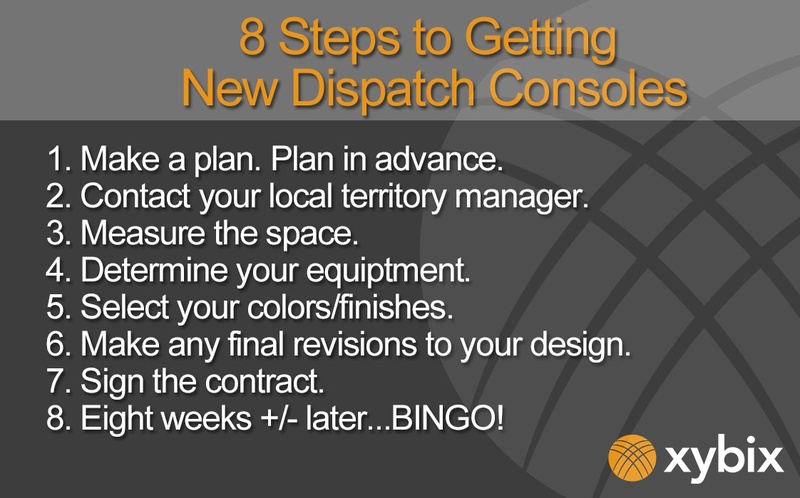 When you first hear about a project for a new or improved communications center, it is advisable to begin your planning process right then and there, even if the project is still a couple of years out. 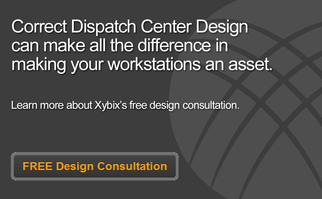 This allows the maximum amount of time to plan for and create the most ideal remodel while keeping in mind other things like your equipment, space design, and general workflow needs. Remember, the process will be much smoother if it’s not rushed. After you know you’re looking for an upgrade, what’s the next step? Contact the local territory manager in your respective area. You can expect a brief introductory phone call discuss the plan basics as well as the timeline. After that, there will be a site visit to dive further into details of the project. At this time, the rep will take physical measurements of the room, accounting for all windows, doors, and other space limitations, and they will also discuss equipment, such as monitor size and quantity, number of CPUs, etc. Then all of this information gets delivered to our team of accredited designers. From there, it takes around two weeks to create a drawing and a quote. Download Xybix's Eagle finish brochure for color selection choices and materials. Moving forward, look for contact from your rep to discuss the initial design. Setting up a GoToMeeting is typically beneficial so that you can discuss the layout and make any changes in real-time. At this time, revisions can be made if necessary; generally speaking, it takes an additional week per revision. After the design is finalized and the contract has been received, we are ready to start building! From the time the paperwork is received, we typically have an eight-week lead time for manufacturing and installation. Then.... the exciting part! Your consoles will then be ready to go live! 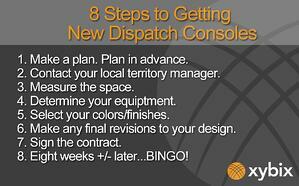 In conclusion, your hunt for new dispatch consoles can take around three months on the accelerated fast track, but most projects will take between 6-12 months. The sooner you start, the more prepared you will be, and the quicker you’ll have a brand new comm center to enjoy!